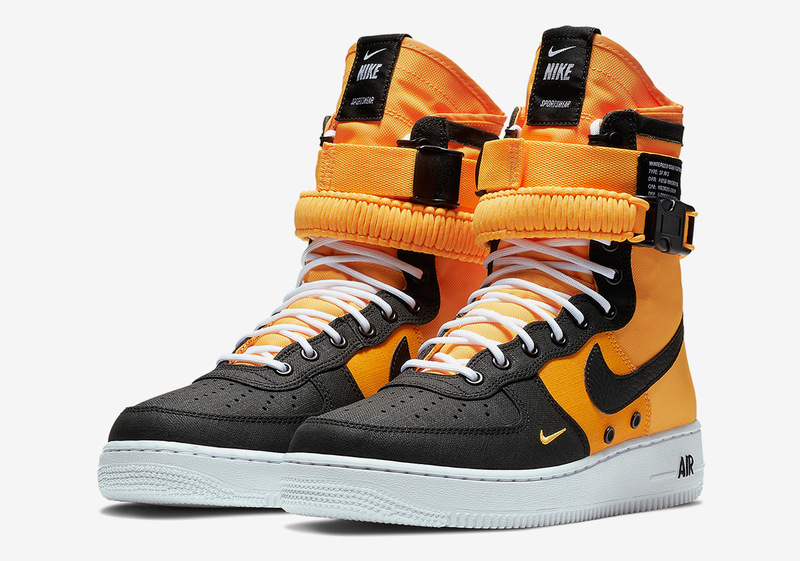 Nike’s larger-than-life SF-Af1 silhouette is set to get a bit taller this Fall, as the already-towering Special Forces model sees its tongue unit grow a noticeable amount. Calling upon a vibrant orange and black color scheme to introduce this updated construction, a brand new tongue label is added to the mix as well, refreshing this admired line. Its clunky militaristic aesthetic is still masterfully achieved, but these slight upgrades – combined with a new all-over heel graphic – create a look that is clearly designed for the streets. White laces and a white AF1 sole unit complete this intriguing selection that is likely to arrive on Nike.com and other NSW stockists in the middle of next month.